Last weekend saw the conclusion of our knock out competitions. Congratulations to all who made the finals and the results can be seen below. Also played on Saturday was the 11th Adam Scott Final. This event is the flagship junior event of the year and the one they all want to win. Adams sponsors, Titleist provide a fantastic array of prizes including Scotty Cameron putters, Vokey Wedges and various Titlesit products. Following the 18 hole final, all players and parents were invited to lunch which was paid for by Adam. You can see coverage of this event on the official Facebook page of Adam Scott by clicking here. We would greatly appreciate it if you could fill in the survey we posted within the newsletter. 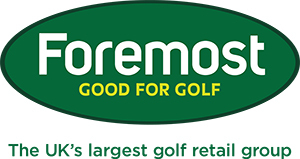 I am passionate about providing you with the brands you want so will be using your surveys to assist me in selecting the brands stocked in your pro shop. We will run a prize draw alongside the survey that will provide you with the chance to win 1 DOZ TITLEIST VELOCITY BALLS! I have been contacted by Mark from Night Golf regarding us hosting another event. Using LED golf balls, LED Markers, flags etc we play a team event over a 5 hole course. Last year it was a success so if you would like to see this event take place, please register your interest by clicking here. More arrivals of Galvin Green Autumn Winter, Underarmour and Nike have started coming into store ahead of the winter season. Waterproofs, base layers, insula garments, windstopper garments and winter headwear are here for you. Stay dry, stay warm and comfortable whilst swinging with ease in these performance garments. The NEW Nike Storm Fit Rain Suits have arrived in store and are priced at just £109 ! You will also receive a free Nike Bucket Hat upon purchase! Roll Up sessions have been great this last week with members and friends enjoying a relaxed way of coaching. Roll Up sessions are Monday's & Thursday's 10am until 11am. Includes: 50 Balls, Tea, Coffee, Biscuits and tuition during the one hour. LOOKING TO BUY A NEW DRIVER??? Tuesday, 7th October with Peter Finch - Only 6 Slots available 9am until 12pm £10 pp to secure your time slot. Using the latest in equipment technology, I will go as far to say I will guarantee extra overall distance hopefully with the added bonus of accuracy. Session slots by appointment only and to be booked in the pro shop. 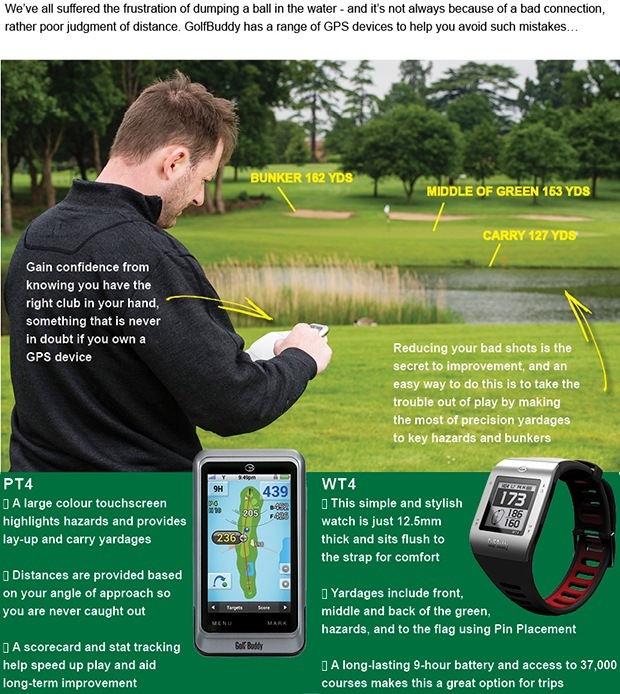 Available to all golfers. Finally, if you wish to come and say hello I will be in and around the pro shop and working all day in the shop on Tuesday's. I am really enjoying my time here and all members who I have met so far have been fantastic. As part of getting to know the Members of Preston Golf Club, as I mentioned in last week's email, I will be arranging trips out to some of my favourite golf clubs. Competition on the day will be a four ball betterball stableford on 3/4 handicap. I hope you can make it on (LIKE OURS) one of the best inland courses in Lancashire. If we do not have your desired product in store then you can simply use the 'click and collect' service on the Foremost Website! The website is designed to help customers seek their desired product and to have it delivered to their local Professional's Shop! Therefore, the customer will still receive the same quality service that you cannot find on the internet! Short Game Section - Knock shots off your score - Just ask Vince Sarsfield! 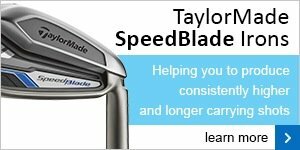 FREE GAPPING SESSION AND SHORTGAME LESSON when you buy a wedge system from your pro. We currently stock Titleist Vokey, Cleveland 588 RTX AND Cobra Tour Trusty Wedges, which range from £74.99 to £97.99 . We have various loft and lie combinations in store to suit your technique and preferences! We also have demo wedges in each brand that are available for trial before making your purchase! This week I have given away 4 FREE gapping sessions. Using Flightscope I ask the golfer to hit 6 shots with their 9 iron and wedges. From the data I am able to see distance gaps between how far each of these clubs travel. With modern day PW loft being circa 45* and SW loft being circa 56* we have a gap of 11*. This is a problem as 4* = 12/15yds so potentially a 40yd distance gap between the PW and SW. This example is the most common problem I am asked to deal with and typically requires the addition of a gap wedge 49* or 50* adding to the bag. Are you GAPPED correctly? If not, why don't you book in for your FREE GAPPING SESSION by clicking here. Get up and down from anywhere with GMAC'S Short Game Masterclass! Come in store to pick up your copy today! We are now promoting a '3 for 2 deal on all Puma, Callaway and Ashworth polo shirts whilst stocks last! There are some examples of the polo shirts that are available to see by clicking here. Four weeks ago I took delivery of my first drop of PING G30 drivers. As always I am sceptical when a rep walks into store telling me that their new product is the longest, lowest spinning, straightest and most forgiving driver. This is the story I have heard for years!! So, four weeks in and three top up orders placed tells a story. Using Flightscope to carry out fittings the findings have been very positive. This new PING G30 driver really does perform on all levels especially distance, spin and forgiveness. So, for all you PING lovers out there I would most certainly recommend giving this driver a test. For anyone who struggles with a left to right ball flight my testings have found the SFC model really can assist straightening up that ball flight. We are often asked if we accept trade-in 's. The answer is YES! We actually want your old clubs! We also have a facility to convert those old clubs that are sat in your locker or garage into money. Providing these clubs are a reputable brand and not too old we can move them on for you and convert them into funds that will be applied to your customer account in the pro shop for you to spend at you convenience. If this is of interest to you, pop in and see us during the week and we will give you a valuation. That's all for now so we look forward to seeing you around the club at the weekend and happy golfing!! We’re giving away a FREE 2-ball pack of Srixon’s new Soft Feel when you buy a sleeve of three – that’s 5 for the price of 3 on Srixon’s original soft feeling, low compression distance golf ball. It doesn’t matter if you’re finding every fairway right now, you don’t want to pass up when an offer like this comes around, especially when it provides the ideal opportunity to try something new and improved. We’re delighted to bring you details of our Annual Customer Survey that we’d encourage you all to complete when you have a spare few moments. Do so and you’ll automatically be entered into a draw to win a fantastic three-night play and stay package for two at the world-renowned PGA Catalunya Resort in Spain, courtesy of Golfbreaks.com. I hope you enjoy reading the rest of the newsletter, and have a good weekend. 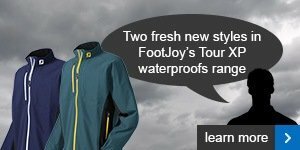 FootJoy's Tour XP waterproofs are really popular and we're now stocking two new styles. 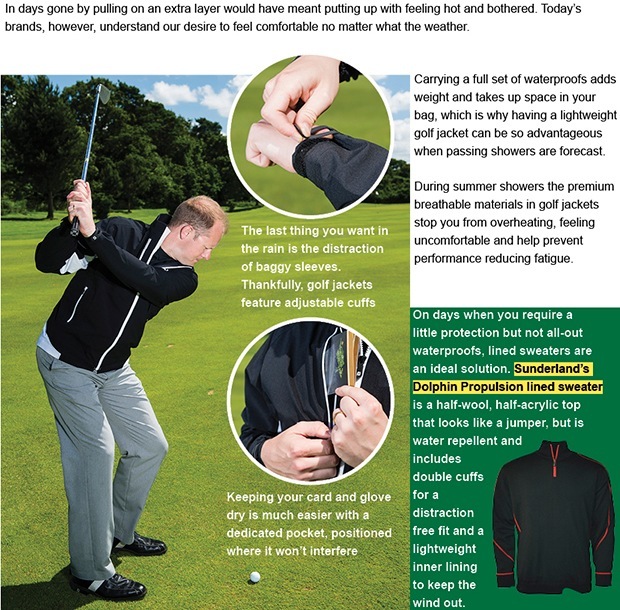 The Tour XPs are the type of waterproofs you actually don't mind pulling on because you know they'll perform well, keep you dry and not restrict your golf swing. Srixon has designed the new Soft Feel -available in Pure White and Tour Yellow- to launch high with low spin to optimize launch conditions and control. Talk to the team about finding a ball that's right for your own swing, we're here to help.